Field Guide to the Deep Sky Objects is a uniquely usable guide for observers. 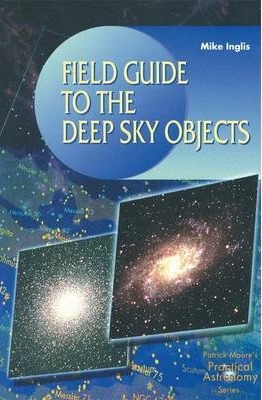 Following detailed descriptive summaries of each class of object, it includes extensive lists of deep-sky targets which are classified according to type of object:- Stars (bright, coloured, double, triple, quad, multiple);- The spectral sequence;- Clusters;- Globular clusters;- Stellar associations;- Stellar streams;- Nebulae (emission, dark, reflection, planetary);- Supernovae remnants;- Galaxies (spiral, elliptical, irregular). Each of these groups is organised by month of best visibility, and within that by ease of observing. Simply, this means that you can choose a class of object, and for any month of the year find an observing list that begins with easiest through to progressively more difficult targets! Amateur astronomers of all levels of ability will find this book invaluable for its broad-ranging background material, its lists of fascinating objects, and for its application as “graded exercises” to improve practical observing skills while viewing many different types of deep-sky object.